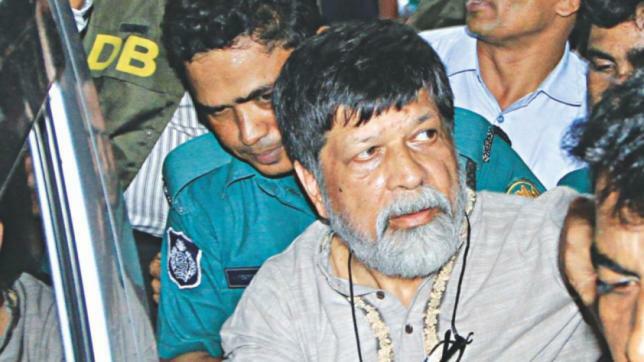 A High Court panel denied bail to Bangladeshi photojournalist Shahidul Alam on Thursday, despite saying evidence submitted by police did not support allegations of online defamation of the government. The decision by the two-judge panel ended Alam’s fifth attempt at securing bail, one that was delayed several times since early October. The 63-year-old award-winning photographer has languished in jail without being charged since his arrest in early August despite protests from human rights and press freedom advocates. Judge S.M. Mozibur Rahman on Thursday rebuked a police investigator because evidence of a Facebook post he submitted in court did not show Alam making statements that were cited in a First Information Report (FIR) produced in court following his arrest. “You know nothing,” Rahman told police investigator Arman Ali, raising his voice after viewing the evidence at Alam’s hearing on Thursday. “Why does the link mentioned in the FIR not match the allegations [of online defamation]?” he asked, summoning the police official in front of the judges’ podium. Nevertheless, without providing a reason, the judges announced they would no longer hear the case, effectively declining to grant bail to Alam, whose petition had been pending since Oct. 7. Back then, the court gave state prosecutors one week to present its argument for why Alam should be not be released, but government officials did not stick to the deadline. Alam has been incarcerated since Aug. 5 after an interview with Al Jazeera television and after he posted live updates on Facebook about a government crackdown on student protesters, who demanded improvements in road safety after two classmates were killed by a speeding bus. But Facebook links presented as evidence showed no connection to an interview Alam gave to Al-Jazeera television, the court determined. In the interview, he described the government as “non-elected” and said it had no mandate to rule the country. He also alleged that the government and its associates had been looting the banks. “Today, the court gave its decision that they would not hear the bail hearing anymore,” Mahbubey Alam, the attorney general who opposed Shahidul Alam’s bail petition, told BenarNews. He claimed the prosecution correctly presented a video clip, which confirmed the photographer had propagated false news about the government to foment a safe road protest movement against the government. After Thursday’s hearing, defense lawyers said they would apply for a new bail petition before a different High Court. “The judges told the court that the links and the prosecution allegations did not match. But they did not give bail. This is frustrating,” Sara Hossain, Shahidul Alam’s lawyer, told BenarNews. “Of course, we will apply for hearing the petition before another bench,” Hossain said. “This bench heard the case for three weeks. But now they say they would not hear it again. This is regrettable,” Shahdin Malik, another defense lawyer, told BenarNews.